Coach (now/ever): No permanent coach but I have people who I go to for advice and input. Sparring partner(s) at home: It really depends who is available. Ricky McCann and another couple of players I travel to play from time to time. Most important win in a tournament and most satisfying win in a tournament: My first Senior Title win when I was 18. It was the Irish Nationals. That was important to me. What do you do for work: I am currently on a year out from my job and go to night school. 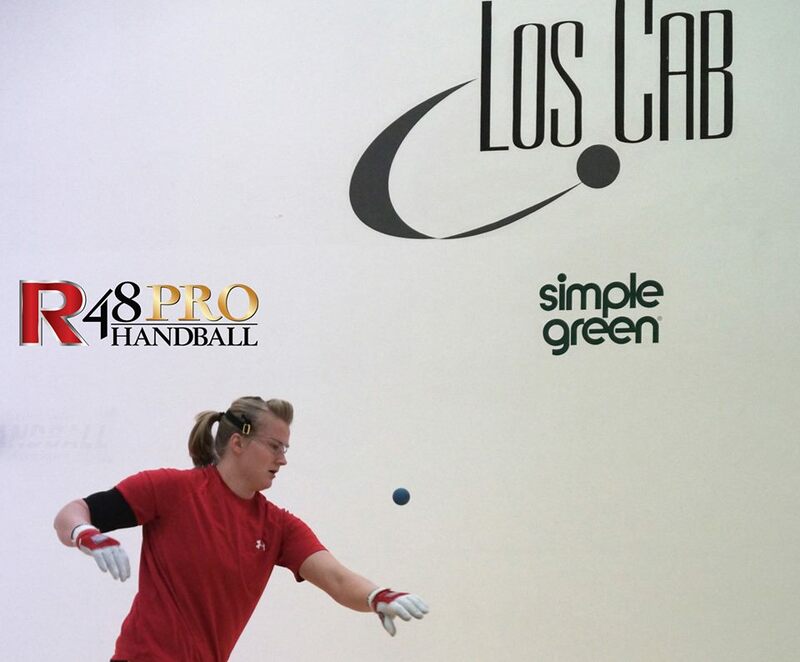 What are your goals in handball going forward: To get better as a player and just enjoy it. Win the Irish Championships. How do you prepare for tournaments: It depends really what the tournament is. If it’s at home I really don’t do anything different on a day to day basis. I go to the gym, or get a practice game or two in during the week but nothing too crazy. On a game day I usually have every minute leading up to the game accounted for. Eating, travelling, preparation etc. If I am playing abroad I like to get out a couple of days beforehand and try to get my body into that particular time zone, get some practice on the courts before the tournament starts etc. What do you love about handball: I love that it challenges me on different levels, physically, mentally and sometimes emotionally. I love that I get to go to places I would never have seen had it not been for handball. I have made many friends and met some really great people. Favorite pro player (now or ever): I can’t pinpoint one player. I love to watch all the pro’s both female and male because every player has a different style. How would you describe your game: Patient but aggressive. What is your best shot: If it is firing on the day, my serve. Given the choice, which top WR48 event would you most like to play: I really wanted to get to NY but it isn’t going to happen unfortunately and I have already played the US Open so Salt Lake City. Who has inspired you to play this game at such a high level: When I first started to play and growing I had a lot of great players in and around my club.. Billy Silcock, Stevie Madden, Paddy Duffy, Joe McAllister, Socket, Sean Devine, Fiona Shannon, Ricky McCann to name a few. So seeing them playing and winning titles inspired me I suppose. Who do you think is the best women’s player of all time: When I was growing up Fiona Shannon was the main name in Ireland. Which women’s pro would you have most like to play in your prime: I got the chance to play Anna Engle in Portland. But I would say Lisa Fraser. Looking at what she won and how people talk about how she played, I would have love to have been able to play her.